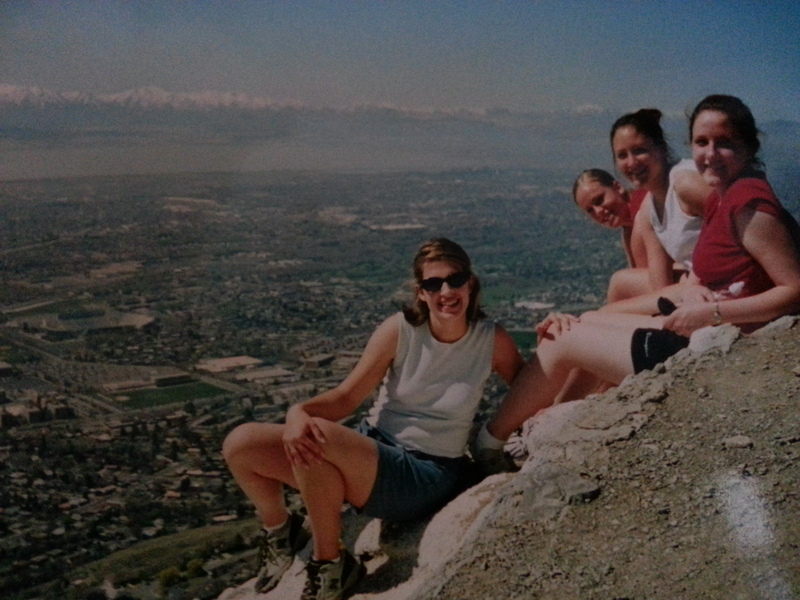 We were a hodgepodge group of freshmen inhabiting one of BYU’s yet-to-be-renovated relics of a dormitory, and Kate Kelly was one of the cool kids. As a collection of fabrics, our material wasn’t fit for a designer’s palette. But somehow, the combination of bright and subdued hues, sparkly slivers, textured bits, and remnants that made up our little floor in Stover Hall sewed themselves together to form a fantastic state-fair-worthy crazy quilt. Kate Kelly was one of the sparkly slivers. She was an unusually bright mix of gumption, guts, school spirit and witty sarcasm, wrapped in a package of common-sense-meets-whimsy. We weren’t close friends. (I happily remained on the periphery of coolness, content to watch and wonder.) 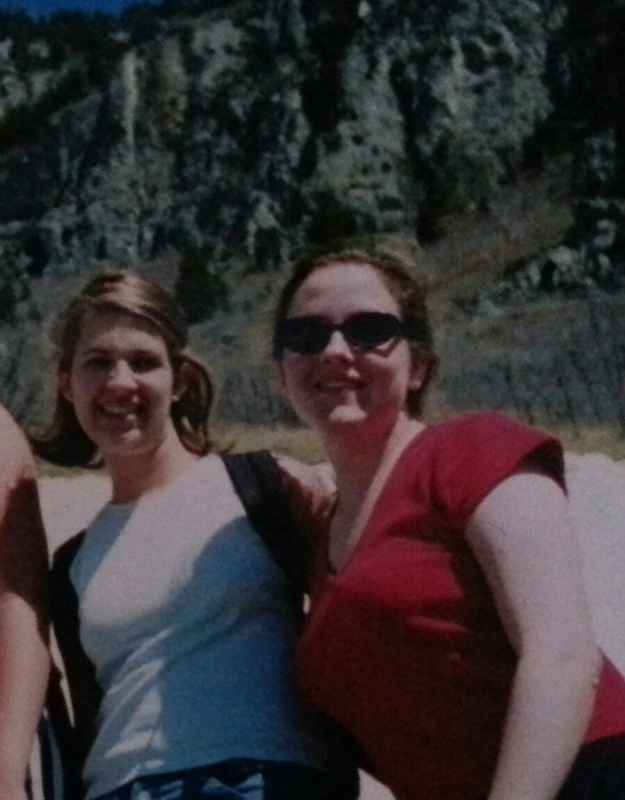 But as a whole, we were a close-knit group of young adult women, and I remember Kate as both vibrant and kind. As of June 23, Kate confirmed via the media that she had been excommunicated from The Church of Jesus Christ of Latter-day Saints, where we have both been lifelong members. (Full text here.) It comes a little more than a year after she founded a group called Ordain Women, in which she publicly lobbied church leadership to extend priesthood ordination to women. As months went on, her ideas took root, and her statements, web presence, meetings and protests created something of a media frenzy. During this time, she recruited and gained hundreds of followers. I am not among them. Although I do not agree with the course that was ultimately chosen by the Ordain Women movement, my heart goes out to Kate. There is a palpable sense of devastation running through parts of the LDS community. There are also those who seem to be rejoicing at the decision handed down, filling up the comments sections of news stories, blogs and social media posts with combative vitriol that is anything but virtuous, lovely or of good report. I am not among them, either. Dozens of essays and editorials have been published in the lead-up to and aftermath of this event. Regardless of the side you might be on, someone’s excommunication is a devastating thing, deserving of compassion and kindness. “All of us as sisters in the gospel have the responsibility and privilege to support and nourish one another. We have all committed to be disciples of Jesus Christ and this discipleship should be at the heart of all that we do. Each of us is in a different place in our spiritual journey. Some may struggle with testimony. Some have questions or wrestle with the pressures and trials of life. Those who are struggling for whatever reason should be able to find within our sisterhood a spirit of warmth, inclusion, and love. It has been years since I’ve seen Kate, but if she showed up in my ward on Sunday, I’d give her a hug and invite her to sit with my family. I hope you would do the same. Although excommunication means many things, it does not mean that Kate isn’t welcome at church. She is welcome. Nor does it mean that she cannot one day regain full activity in the church. She can. Kate Kelly is my sister. She is our sister. I am thankful that our paths crossed earlier in life, and I hope that someday, they’ll cross again. Categories: Uncategorized | Tags: apostasy, BYU, excommunicate, feminism, feminist, Holly on the Hill, Kate Kelly, LDS, Mormon, mormon feminist, Ordain Women | Permalink. Masterfully written. I, like you, don’t like the way this movement or went. But I feel for her and for my friends who align themselves with this movement. I almost don’t know how to comment to my non-LDS friends who think this was a total mistake. Thank you for your thoughtful comments, Gary. It has become such a devisive issue. I think my concern for my friends is primarily why I posted on the topic again. It’s difficult to know what to say, as so many want to apply secular and world views when considering the church’s position. I have been of the opinion that this topic of her excommunication should never have been aired to the media. That it is personal and of no one’s business but her own & those directly associated with her if she so chose to share it with them. However, I read the letter informing her of her status in the church which you linked here that she submitted to the media & I am encouraged by the love & respect shown to her from her leaders, even in the face of her unwillingness to follow their council. Many have indicated that her excommunication was a “slap in the face” to all women of the church & that in excommunicating her she has been silenced like a child. But this is not the case. Sometimes we are compelled to be humble & then we become teachable. Her excommunication gives her the opportunity to begin again if she desires to do so. This is true of any excommunication, it releases you from your covenants which you are breaking & allows a fresh start. It is a form of discipline followed by love & help to the extent the individual accepts. I hope that others will read this letter, I hope that she will read this letter, over & over again & begin to see that she chose the course that led to her excommunication & to see what it has done to many good & compassionate people in the church & then to feel the Spirit of the openness which has been extended to her to begin again if she so chooses. I’m really glad to have read this. It has shown me further how much our Heavenly Father loves each of us. No matter our trangression, He still reaches out to us with open arms if we will use the atonement to heal our hearts and align our lives with the teachings of Christ & His church. I feel much less uptight about the whole situation. Thank you for your insight. Julie, I also felt encouraged by the love and respect shown in the letter she received and publicized. If anything, I feel this has been an unfortunate but perhaps important teaching moment about excommunication. 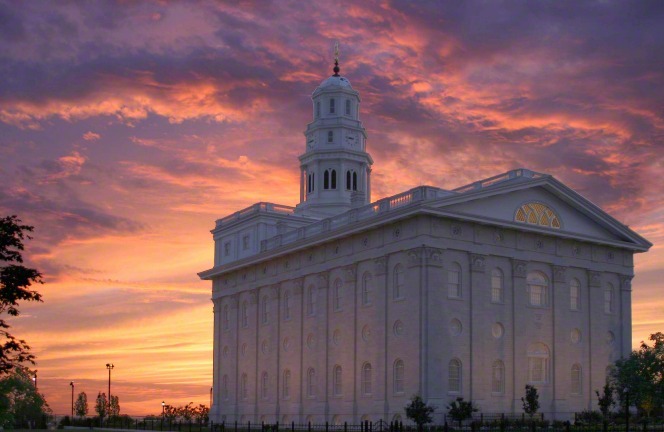 In many cases, is a merciful act, and a chance for a new beginning, through the power of the atonement. Thank you for sharing your comments. I believe that letter should be kept personal. i dont know for what purpose it is published by her? But by reading it, i felt the love her leaders are extending to her. It is sad for someone to become like this. As I have stated to other posts on this subject: The letter she received from her bishop should have remained private, for so such matters are. Sharing it with the media, was unfortunately, yet another step in the same direction which brought about the disciplinary council in the first place. Hopefully the atonement will have a chance to rescue a soul so rebellious and proud . . . . Thanks for the timely reminders to be Christ-like; now especially. I agree with everything you said. But I also feel that it’s perfectly ok to feel satisfaction and even vindication in the decision to excommunicate. The bottom line, at this point, is that Kate is completely out of line and has led many others astray. I, for one, and very glad to see the Church take the stance to protect itself and its doctrine. I think it’s totally possible to by happy for the decision AND have compassion and love for her as a daughter of God. That’s where I find myself. “Vengeance is mine…saith the Lord” Romans 12:19. Well written article and I want to reach out with love toward Kate Kelly. I’ve included her on my private prayer list. I totally disagree with what she has done and is doing, but I do have compassion for her.